Ulstein church was moved here in 1878 after having stood in Ulstein old graveyard since 1849. The original architect was local vicar Hans Nicolai Wraamann. The master builder from 1848-1849 was Ole Olsen from Lid, Nordfjordeid. Master builder Gjert Lien from Nordfjordeid was responsible for re-erecting it in 1878. Ulstein church was the last octagonal church built in Sunnmøre. When it was re-erected in 1878 it was given a new tower and spire in neo-Gothic style, a separate chancel and a larger narthex. The tower clock was added in 1967. 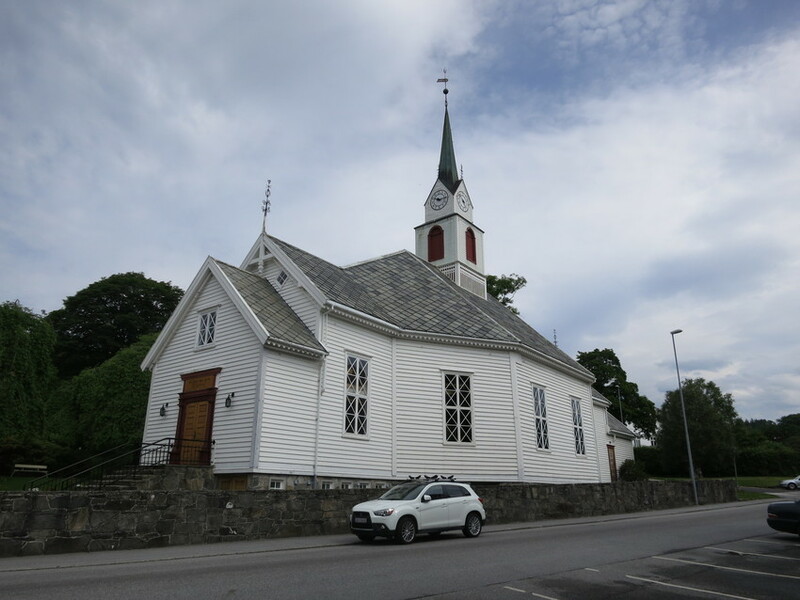 Today Ulstein church lies in the town centre of Ulsteinvik.